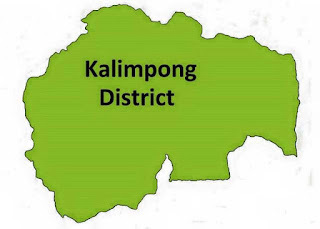 The Jana Andolan Party and the Gorkha Janmukti Morcha today wanted areas contiguous to Kalimpong subdivision, even outside Darjeeling district, in the proposed new district that will also be called Kalimpong. The two parties placed the demand before Bengal chief secretary Basudeb Banerjee at a meeting held in Deolo here this afternoon. "All land north of NH31C, leading from Coronation Bridge towards Assam be delimited to Kalimpong district. The NH10 from Sevoke to Rangpo, leading to Gangtok be delimited to Kalimpong district along with all highway settlements and villages, including Rambi and Kalijhora," the Jana Andolan representation to the chief secretary mentioned. Kalimpong Morcha MLA Sarita Rai said there were a number of villages along the highway that were far from the district headquarters of Darjeeling. "Adding them to Kalimpong district would be of convenience to the people who have to travel long distances to the district headquarters. There are villages in adjoining Jalpaiguri district that would also be benefited if included in the new district. We have given our suggestions to the chief secretary and he has assured of considering them," she said. The Jana Andolan and the Morcha delegations also mentioned villages in Jalpaiguri district such as Bagracote that should be included in Kalimpong.